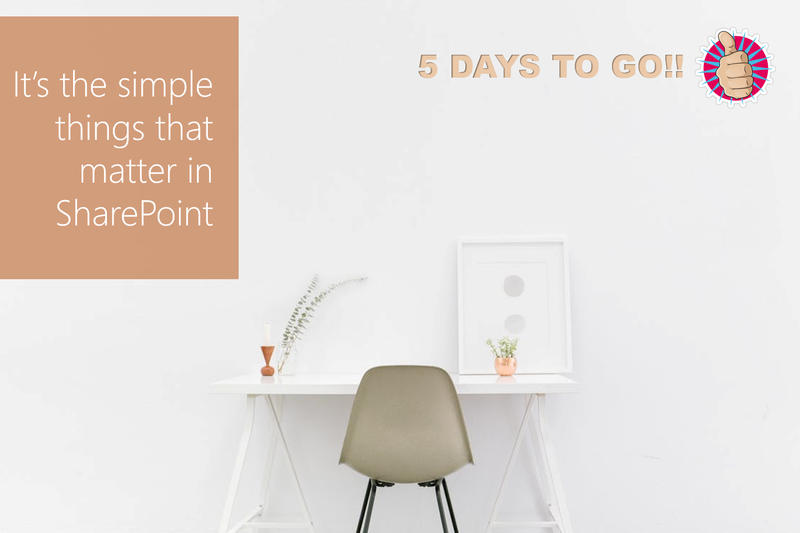 #Office365Challenge – 5 Days to Go – The magic of SharePoint lies in the ability to take ordinary OTB Apps, and build extraordinary solutions with them. Solutions that help people, improves process, saves time, are easy to use, quick to deploy and effortless to update or improve. That’s the magic – right there. Today I’ll pass on a 7 great ideas that you can use as Quick Wins, to boost your user adoption (and your self esteem). Truer words could not have been spoken. 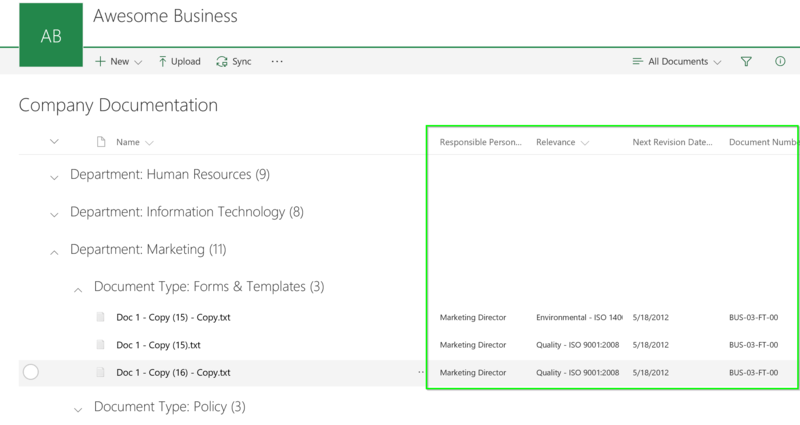 Take the time and REALLY learn the SharePoint Apps inside out. Before you grab the next best thing and complicate things. I’ve seen people spend a lot of money on totally unnecessary customizations, which SharePoint / Microsoft would have done OTB – if they had just configured it right. Let me give you a crazy example (this is super important to me – and I really need to bring this point across). A certain company has received an audit finding regarding forms that are printed for copies. In factory environments we see this often. Master copies will be placed in a file, and then copies are made of those – all good. The audit finding was that the auditor could not confirm – when the original master copy was printed. It could have been 10 years old. Another company then customized a solution (very expensive) for them, to date stamp any document printed from SharePoint. Problem solved. I think not. You know what I would have done? Trained my document owners to add footers on their Excel / Word Templates with the formula for Printed = [Today]. See what I did there? We are complicating our own lives and that of our customers, because we don’t know our product well enough. It’s not possible to build SharePoint to suit everyone. Teach users how to create their own unique landing page in PowerPoint (or Excel) using SmartArt or Images + hyperlinks on objects. Save this page as a pdf, load it on SharePoint and put the link on their landing page behind a button or promoted link. For example “Dispatch Navigation”. The pdf will open fully in the browser and present them with all the areas that are important to them, as well as the links for navigation. Users love the creativity and they take ownership as they feel they’ve had input to their system. This also works GREAT for audits, when users need to quickly find all the relevant content in one place (that might be scattered all over their site). Use the Calendar App to manage Expiry dates. 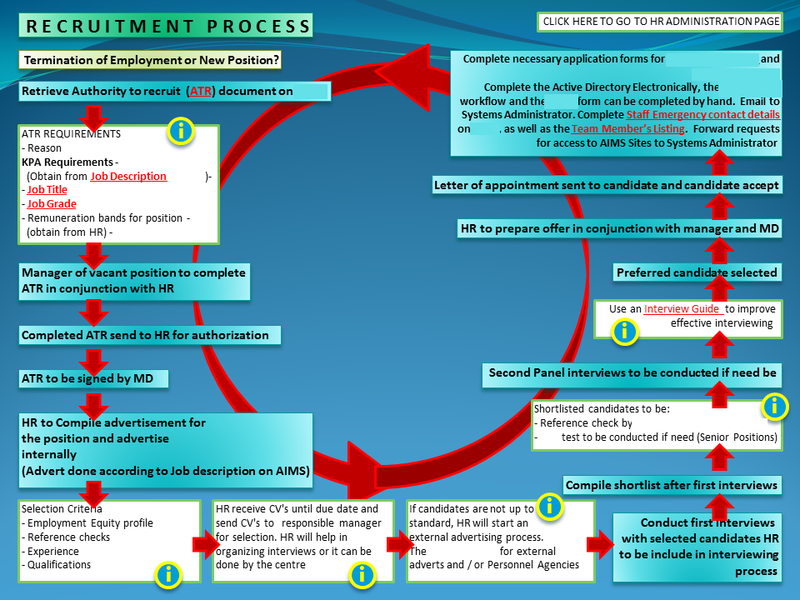 Add all the certificates, ID’s, Passports, VISA’s, Vehicle License etc. and their expiry dates. This will give you a monthly view in a calendar (or Gantt chart), of the things you need to manage. You can always workflow it later. Want to build a solution where different people have to respond based on different selections made. No workflow and fancy form editing needed? Custom List > Filtered Views > Filtered Alerts. I hope these will inspire you to do more with less. It’s called iterative change. Small baby steps with simple solutions which grow into bigger solutions over time (while the user maturity grows with them).